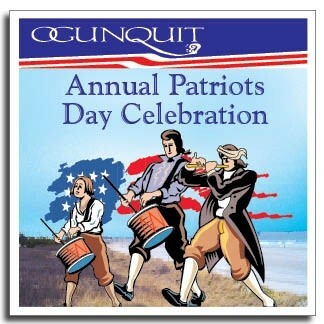 Celebrate your Patriotism in Ogunquit during our 25th Annual Patriots Day Weekend celebration! Join us as we go back to our roots, with historical characters walking the streets, musterings, and fife & drum concerts. What could be more American than a craft show? Re-enactments, kids’ carnival, cookout, taste- tests, and casino night round out the weekend. The Ogunquit Playhouse is one of Maine’s cultural jewels and a cornerstone of America’s theatrical heritage. Over its 83-year history of producing the highest quality theatre, it has earned the title of “America’s Foremost Summer Theatre” and is one of the last of the great Summer Theatres from the Straw Hat Circuit still producing traditional live musical theatre. Victor/Victoria ~ June 24 through July 18 ~A woman pretending to be a man pretending to be a woman! It’s Paris 1934 in all its glitzy glory. Victoria is a down-on-her-luck nightclub singer until she is convinced by a gay impresario to masquerade as a female impersonator, “Victor.” Hilarity and confusion ensue when Victor becomes an overnight sensation in the night clubs of Paris and attracts the attention of a macho Chicago gangster – much to the dismay of his ditsy girlfriend, who gets dumped for Victor… or is it Victoria? The musical comedy is based on the hit Blake Edwards film that starred Julie Andrews, Robert Preston and James Garner, and includes an electrifying and moving score by Henry Mancini, the original Broadway and touring sets and costumes. This classic musical comedy has it all! Million Dollar Quartet ~ August 19 through September 19 ~ Elvis, Jerry Lee, Perkins, Cash – They came together to make music. Their story made history. Million Dollar Quartet is the Tony Award-winning Broadway musical inspired by the electrifying true story of the famed recording session that brought together rock ‘n’ roll icons Elvis Presley, Johnny Cash, Jerry Lee Lewis and Carl Perkins for the first and only time. On December 4, 1956, these four young musicians were gathered together by Sam Phillips, the “Father of Rock ‘n’ Roll,” at Sun Records in Memphis for what would be one of the greatest jam sessions of all time. Million Dollar Quartet brings that legendary night to life with an irresistible tale of broken promises, secrets, friendships and celebrations, featuring timeless hits such as “Blue Suede Shoes,” “Great Balls of Fire,” “I Walk the Line,” “Whole Lotta Shakin’ Goin’ On,” “Fever,” “Folsom Prison Blues,” “Hound Dog” and more. This thrilling musical brings you inside the recording studio with four major talents who came together as a red-hot rock ‘n’ roll band for one unforgettable night. It was Rock and Roll’s best kept secret…until now! Saturday Night Fever ~ September 23 through October 25~ You should be dancing! Humble paint store clerk by day, stallion dance king by night, Tony Manero lives for Saturday night at the disco where each week the nightclub falls under the spell of the disco beat and Tony’s astounding dance routines. When a big dance competition is announced, he convinces the beautiful and talented Stephanie to be his partner. Saturday Night Fever the Musical is based on the 1977 film that became a cultural phenomenon and cemented the Bee Gees as disco era icons with their electrifying score. This mega-musical hits the stage with breathtaking and dazzling choreography and the songs from the chart topping soundtrack including, “Stayin’ Alive,” “How Deep is Your Love,” “More Than a Woman,” and “You Should Be Dancing!” Catch the fever all over again!